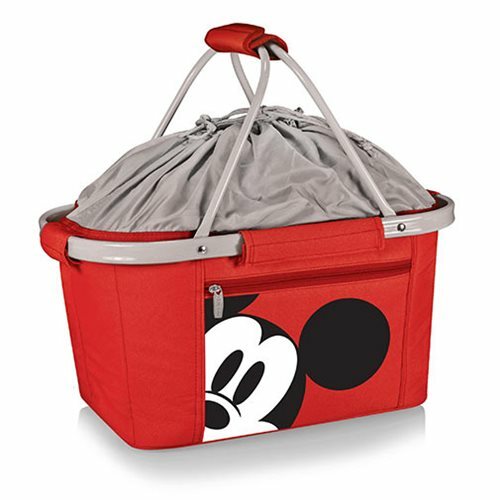 The Mickey Mouse Metro Basket Collapsible Cooler Tote Bag is a lightweight fully-collapsible, insulated basket that can be used for many occasions. 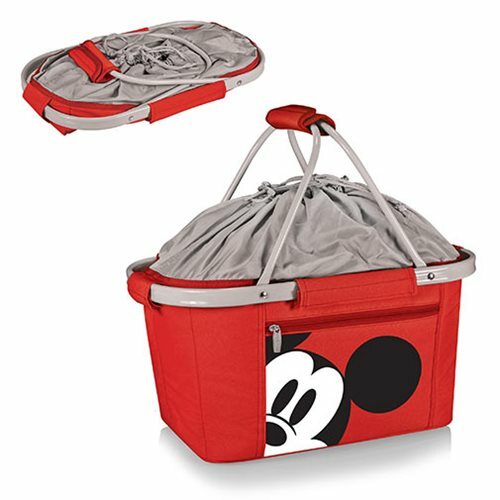 It's made of durable 600D polyester canvas and features a water-resistant interior and expandable drawstring top and sturdy aluminum frame from which the canvas detaches. Easy to clean and versatile, it's a thoughtful gift for those always on the go. Measures 19-inches long x 12-inches wide x 9-inches tall.